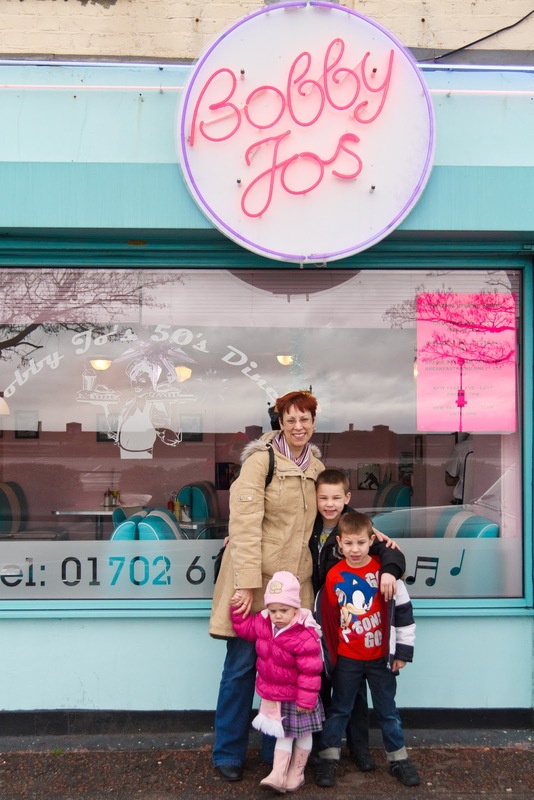 Mrs Manic: 2012 is here!!! 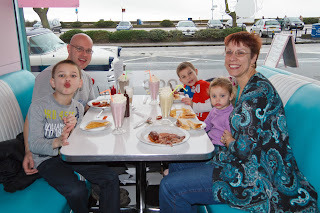 Every year for the last few, we've made our own tradition and gone out for breakfast/brunch on New Years' day. 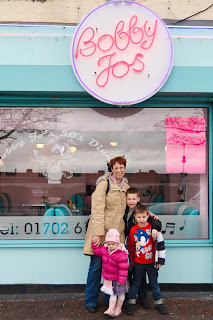 Normally down to one of the cafe's along the seafront, but this year I wanted to go to Bobby Jo's. 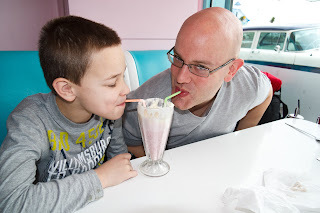 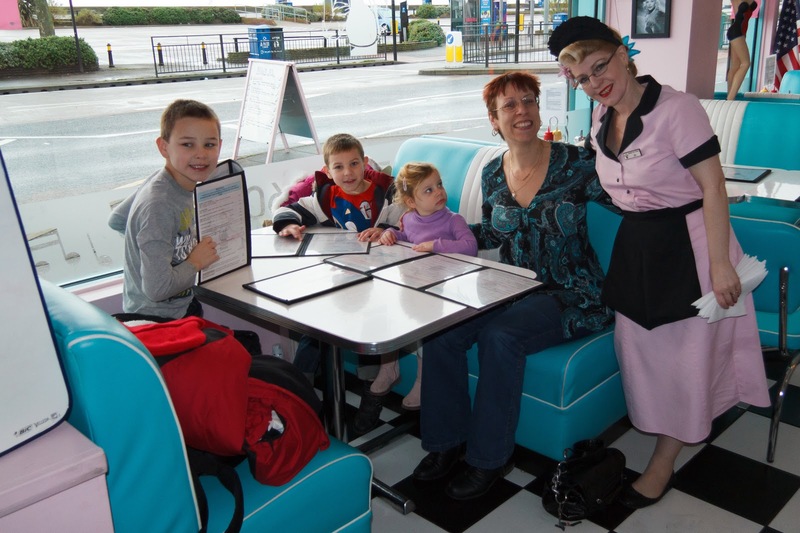 It's a fairly new American themed diner just past the Kursaal run by Bobby and his wife Jo! 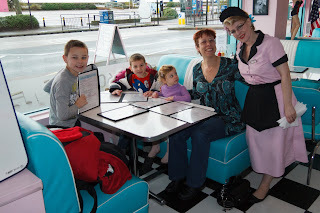 The staff there all even dress like it's the 50's - I loved it! 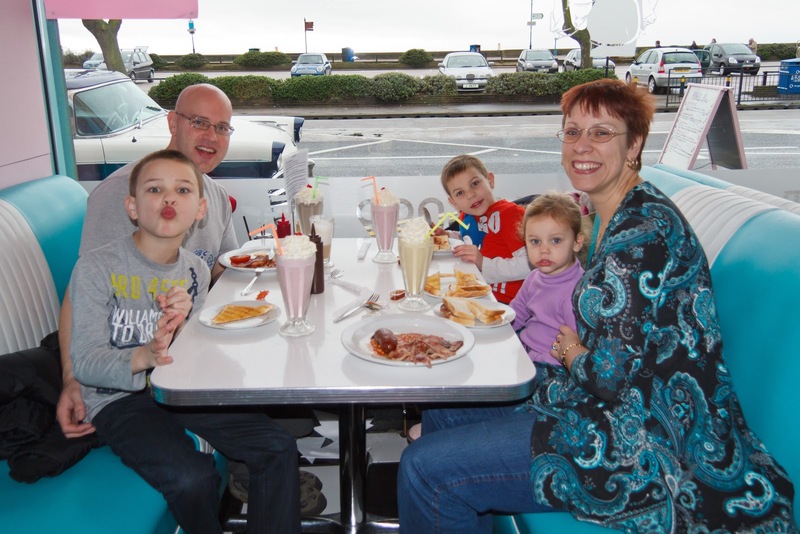 Full breakfast, toast and bacon sandwiches were on order as were milkshakes..
And everyone liked their fabby "knickerbockerglory" milkshakes! 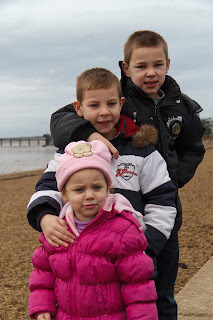 A short wonder along the seafront for some very "fresh" air saw us return home cold, but in good spirits.